Bruce Lovelace’s passion for photography began when he took an old camera on a school trip to the Philadelphia zoo in 1970, as a fourth grader. He was fascinated with the whole process of exposure, developing, and printing the images. Soon after he had a full black and white darkroom in his basement, and expanded it to a color photography darkroom when he was in high school. After a life-changing epiphany, while frantically studying for an exam as a chemical engineering student, Bruce transferred to photography school to follow his heart rather than his scientific intellect. He earned a degree in professional photography in 1984 at Rochester Institute of Technology. He’s made a living primarily shooting portraits since then, but recently spends more time exploring landscape and nature photography. 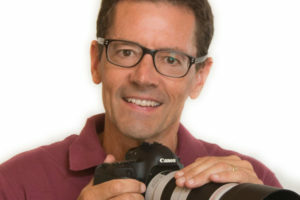 Bruce has taught basic digital photography to adults and also to pre-teens as part of the Inspire Kids Project.